Piotr Tymochowicz, consultant pe probleme de relatii publice, s-a decis sa demonstreze ca oricine poate fi transformat intr-un politician carismatic. A strans un grup oameni dornici de a avea putere si i-a ghidat pe drumul spre manipulare prin limbajul non-verbal. Populistul nu este cel care se lasa guvernat de propriile idei, ci doar de propriile interese. Astfel devine acel oportunist care iti spune tot timpul ceea ce vrei sa auzi. Pe masura ce “cursul” lui Piotr a avanst, au aparut unele problemele de etica, si o parte dintre participanti s-au retras. Unul insa a rezistat pana la sfarsit si a castigat puterea in urma acestei strategii bine calculate. Documentarul lui Marcel Łoziñski ne duce in culisele jocurilor si strategiilor politice; printre oameni care ar fi in stare de orice pentru a-si atinge telurile; in lumea celor care dau sfaturile; in lumea celor care orchestreaza acea marioneta numita politician. 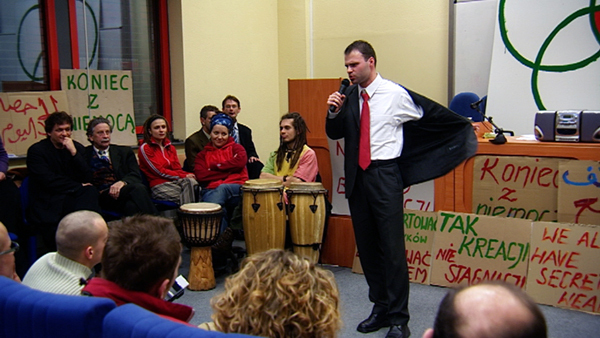 PR consultant Piotr Tymochowicz is determined to prove that he can turn anyone into a charismatic political leader. He gathers up a group of power-hungry people, and guides them into the world of populist rhetoric. A populist is not bothered about isms, but alters his views whenever the public’s mind changes. He says whatever the people want to hear. The message is wrapped up in rhetorics, which consist of everything from the colour of one’s tie to the positioning of one’s hands. 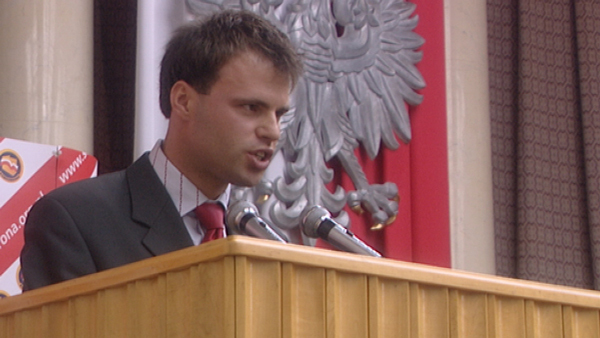 As Piotr’s classes progress, ethical differences drive many of the participants to drop out of the group. However, one of them stays and gains power through a calculated strategy. Marcel Łoziñski’s fast-paced How It’s Done peeks behind the scenes of populist politics and exposes power-hungry individuals, who openly confess that they wouldn’t hesitate to walk over dead bodies to achieve their goals.